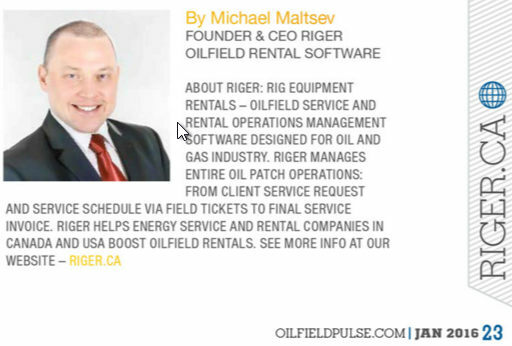 Oilfield PULSE (January 2016 Issue) published article by Michael Maltsev, RigER Founder and CEO ‘Next Step for Digital Oilfield‘. 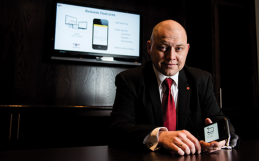 Digital Oilfield encompasses a wide range of innovations such as fleet management and predictive maintenance. These innovations are a direct result of the maturing of enabling technologies such as low-cost sensors, big data analytic and cloud computing. Many Digital Oilfield technologies are field proven and already paying dividends for early adopters, offering not only improved efficiencies and cost savings but additional benefits in areas such as HSE compliance. Despite the benefits they offer, Digital Oilfield technologies have not penetrated deeply into the otherwise highly innovative oil and gas industry. 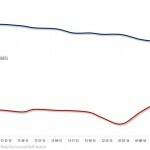 Overall awareness of the technologies and benefits are low. 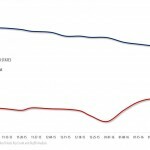 However, the potential returns on investment may be higher than other options for capital. If one maps the challenges onto the themes, it becomes clear that Digital Oilfield is attempting to compensate for a higher complexity and cost of operations which must be performed by fewer, less experienced employees. To achieve this, Digital Oilfield must either subsume or accelerate many of the tasks and processes traditionally performed by engineers, geoscientists, field technicians, financial analysts, and even managers. The industry has come to refer to ordered, related collections of such tasks as workflows, and industry professionals increasingly think in terms of workflow design. Software integration plays one of the main roles in this process. 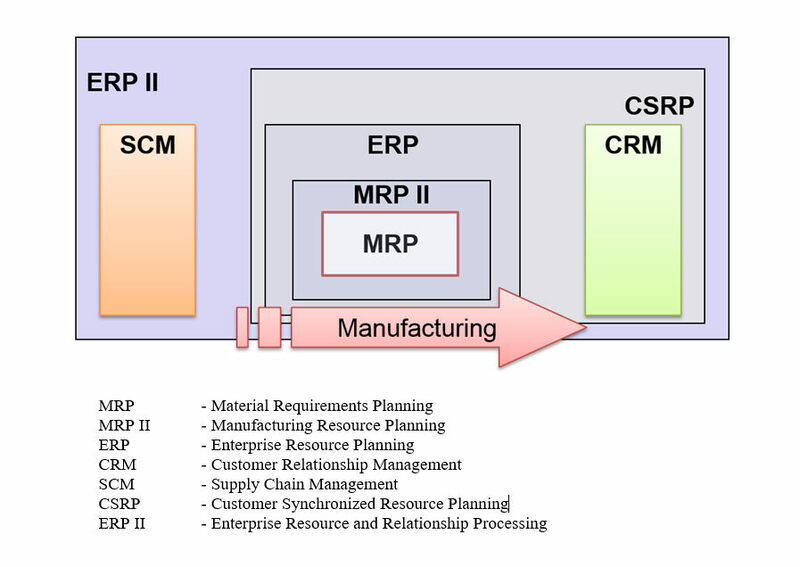 Traditional concept of horizontal software integration is ERP-class systems. It combine different functions on enterprise level: CRM, production, operations, SCM, planning, engineering, finance, accounting, etc. 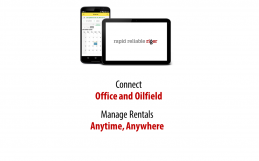 For example, RigER (Oilfield Rental Software) can be integrated with different systems: Accounting, GPS Tracking, Scheduling, CRM, Invoicing and Safety. Companies in the oil and gas industry are responding to low oil and gas prices with a renewed focus on improving efficiencies and cutting costs. Industry leaders are citing the use of innovation and technology to deliver significant performance improvements. Oil and gas professionals see a great deal of potential in adopting Digital Oilfield technology across industry verticals. 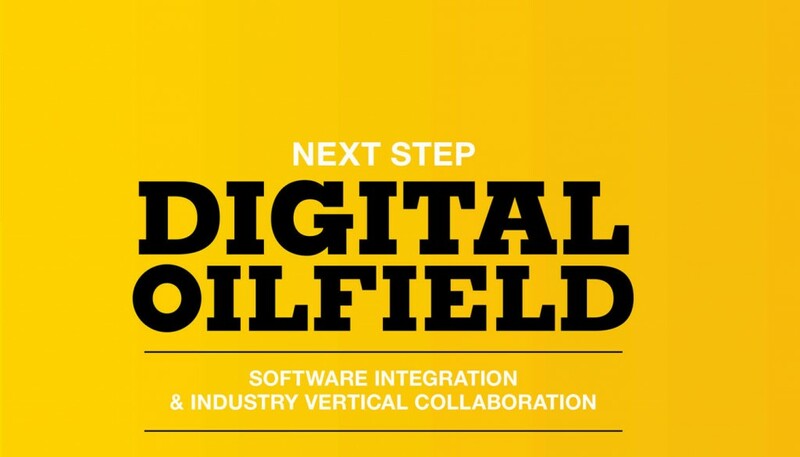 Today’s challenges required next step of Digital Oilfield – industrial level integration. 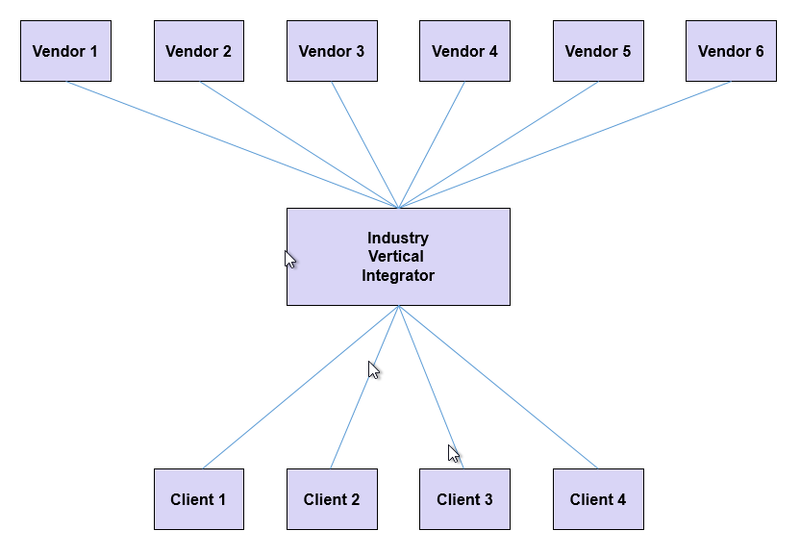 Vertical Integration can connect vendors and customers, buyers and sellers. The good example of this approach is Oilfield HUB. In response to the sustained decline in oil and gas prices, companies across the industry must innovate to improve financial and operating performance. The Digital Oilfield presents a tremendous opportunity to transform operations and drive significant improvements in performance and cost structure. One of the most critical barriers to moving forward is awareness and knowledge. A large portion of the industry has a limited grasp of Digital Oilfield–related technologies and their potential benefits, resulting in missed investment opportunities due to lack of awareness. Technology adoption starts with getting connected, then getting insights, then getting optimized. 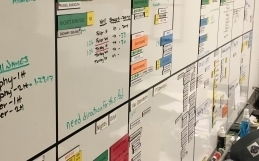 If it becomes stalled at the connection phase, it won’t move up the value path to enterprise optimization. 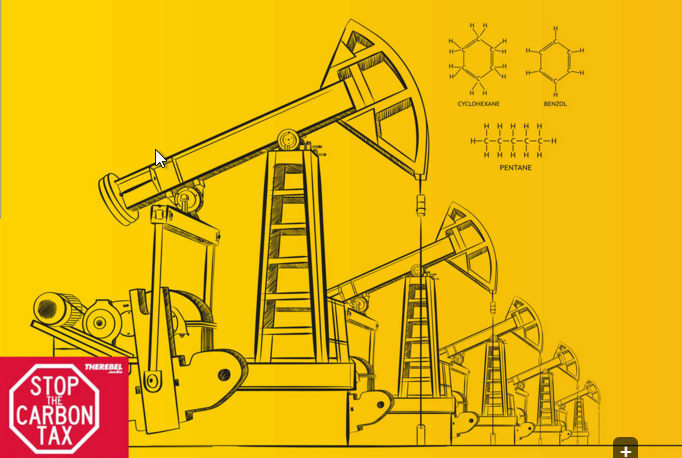 The MIT Sloan Management Review global study of digital businesses found the oil and gas industry’s digital maturity to be among the lowest of the industries it examined. “Less digitally mature organizations tend to focus on individual technologies and have strategies that are decidedly operational in focus,” the study states. Perceived challenges to adoption are not technological readiness as much as budgetary constraints, organizational barriers and cybersecurity concerns. The findings point to the need for a greater level of awareness of the potential benefits of the Digital Oilfield and for increased receptiveness to collaboration and organizational change. As organizations look toward investment, it is recommended that they identify the Digital Oilfield technologies with the greatest potential to increase efficiency and competitiveness and provide leadership at all levels to drive the cross-organizational collaboration needed to derive maximum benefit from them. Fleet management, field productivity, production asset optimization and predictive maintenance look like most perspective Digital Oilfield technologies. External collaboration with technology providers— entering into joint industry projects, piloting new techniques and developing new business models— can help to allay security concerns and accelerate implementation of potentially transformative new digital technologies. At a time when the industry is facing a skills shortage due to aging and an unstable workforce environment, the industry needs new digital/software skill sets more than ever. Developing a better understanding of Digital Oilfield use cases, technologies, benefits and adoption considerations is a critical next step for industry leaders regardless of organizational level or organizational department. It is critical for leaders to explore innovative approaches to improve cost structure and productivity. 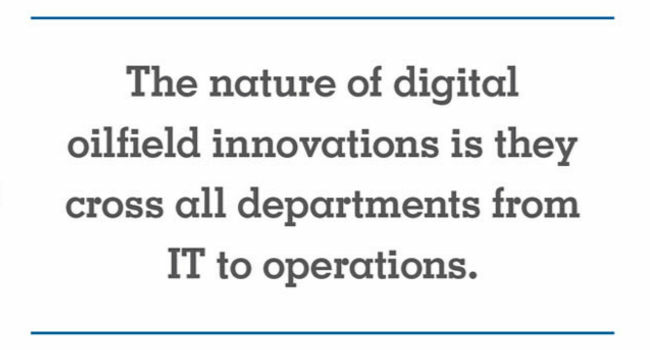 The nature of Digital Oilfield innovations is that they cross departments, from IT to operations. Leaders at all levels, including executive sponsorship, will be needed to focus efforts and deliver results. One of the barriers standing in the way of Digital Oilfield adoption is the fact that the opportunity requires an unprecedented level of collaboration and change across organizational silos. Many of the biggest opportunities cross several areas including operations, maintenance, IT, and instrumentation and controls. Other opportunities require collaboration across companies. Executive sponsorship is essential. Leaders in all parts of an organization have an opportunity to explore Digital Oilfield technologies. Often those closest to the use case and application can identify and deliver the benefits. Companies can help accelerate this activity by creating an environment that encourages innovation and collaboration. There is an opportunity to increase collaboration between producers and suppliers. Producers can be more open about their technology needs and more willing to share data. 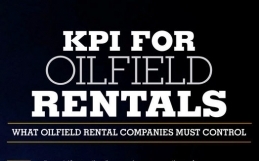 Vendors can often help build the business cases for the Digital Oilfield at a time when capital investment is in short supply. Producers and suppliers can explore joint pilots and proof-of-concept solutions to advance implementation. According to IHS CERA, which has been tracking Digital Oilfield performance for over a decade, its implementation has led to production increases of 2-8%, operating expense reductions of 5-25% and capital expenditure reductions from 1-10%, depending on the project. Opportunity exists for technology vendors and oil and gas companies to share knowledge, to better understand the industry pain points and the innovations available to overcome them, and to jointly develop new applications for emerging digital technologies.